McKay clinches 8th seed coming out of the gates with 7 runs in the 1st inning. Rob Crawford Jr earns his 2nd win of the year going 5 innings giving up 2 runs / 1 earned as a HS player !! Sabers Plate 7 to help clinch home field advantage for round 1 of the playoffs.. The Sabers got on the board early with a Colucci RBI to plate Lenane. The Sabers would tack on 2 more in the 3rd on batted balls by Colucci and Rice. In the 7th, the Sabers added some much needed insurance. Powers, Chapman, Creamer and Curtin all had RBI singles. Powers earned the win, striking out 8. Brundige would relieve Powers in the 6th and come up with big 3 outs and earned the 6 out save, while striking out 3. Powers had 3 hits for Stoneham. Townies getting hot at just the right time as they win their 3rd in a row behind live bats and another quality start for Jones who went 5 innings giving up 2 earned. P Delgado (L) Shaffer, " " " "
Saints get back in the win column behind Shaw for the win and Aizenstadt for the 3 inning save. Monday night baseball down at the English HS as the Knights defeat McKay Club 5-3 in a great baseball game tonight. Kevin Michael pitched stellar 6 innings atriking out 7 batters. Matt Costanza goes 6 innings on the mound with 2 unearned runs and 3 for 5 at the plate for his 4th win of the year. Unbelievable game on both sides of the white lines tonight. McKay Club chips away to tie the game in the 7th inning forcing 2 extra. Last batter is called by the umps with minutes to spare due to lights and McKay pulls a rabbit out of their hat for the win. Spectacular over the head catch deep in CF with the game on the line at the time in a deadlock 7-7 tie by South Boston's Quitadamo. JT Ross goes six to lead Sox to 8-2 win. Congratulations to JT Ross who passes the 600 career strike out mark. With his 9 strike outs tonight, Ross now has 603 strikeouts. Anderson returns to the mound and improves to 4-0 scattering 9 hits over 6 innings, allowing 2 earned runs and striking out 8. The Braves offense ruins another Beatrice save opportunity. The Braves offense was led by Tracy who was perfect at the plate going 3-3 with 3 runs, an RBI and BB. Lindquist stayed hot with a 3-4, 2B, 3 RBI performance. A close affair for most of the game, McKay jumped out first with RBI singles from Colon and MacMeans in the 1st. Braves answer in the 2nd and 3rd on RBI singles by Walsh, Ryan and Tracy and add another in the 4th on a Lindquist 1 run double. A Veras bomb triple to straight away center and Kantardzic single get the Beacons within two. But the Braves but it away in the 5th and 6th with 5 runs on Lindquist and Ryan RBI singles, a wild pitch and a Haslam 2 run single. MacMeans (3-3, 2 RBI), DiMartino (2-3, R, BB) and Colon (2-3, 2B, RBI) led the Beacons offense. Tonight we saw a Close 1-1 ball game through 5. In the 6th McKay Club added 1 and Saints answering with 4. A leadoff double by Oppenheimer and two 2rbi doubles by Slaby and Gaines would highlight the inning. Saints combine with: Aizenstadt (4), Tobin (2) (W), Bousquet (1) (S) and Stone at C.
McKay combines with: Scokzylas (6.1) (L), Lebel (0.2) and Blake at C.
Pitchers duel at English between Matt Costanza and Nick Berger. All runs scored were unearned. McKay Club comes out on top with a solid game played by both teams. McKay Club benefited with returning players Mike Bruemmel frsh from a stellar career at Wheaton going all 7 innings with 11K's and 1 BB. Also, Richie DiMartino from FCBL / Franklin Pierce with 2 RBI's on a big double. Great game at English between visiting Charlestown and home team McKay Club. McKay Club bats continue to mature after a slow start early in the season. Game called to light constrictions in the bottom of the 6th. Notable: Former Bryant University Bulldog (2015) Colin Walsh goes yard for Charlestown with a mammoth bomb. No chainsaws needed - his laser shot nearly cut the tree down and then kept going where someone in JP is desperately in need to call 1 800 54 Giant. Very solid battle tonight at Boston English HS. Savin Hill came out fast with 3 in the 1st inning. McKay club comes back with 5 runs in the 6th inning and holds on for the Win. McKay Club wins vs a gritty East Boston team. After coming out of the gates down 2-0, McKay Club put up 8 runs in 2nd inning and didn't look back. Notables: Kenny Luongo for EBK aka "Chestzilla" YBL veteran, ex pro player dropped a BOMB on his former bat boy from the old Malden Bulldogs days. Maddogs: SP Faria W 2-1 (6ip), Surdell-7, Lopes C.
McKay: Lebel L (0-2) White 3, Martin 4, Gerard 5, Scotch 6, Crawford Jr 7. McKay Club battles for the win in game 2 of the double header. Ryan Schaefer in relief for 4 solid innings gets the win for a the split. McKay Club wins on a complete game gem by Matt Costanza. Costanza goes all 7 innings for his first YBL win ever with 8K's and 2 BB's scattering 3 hits. One of which was a BOMB to RF by Brighton's Billy Cather in the 7th inning. Black Sox get win behind solid pitching from both Mickey Donnelly (5IP, 2H, 5K) and Collin Geagan (2IP, 2H, 3K). Ross Zamparelli, Adam Sudbeck, Will Counsins and Nick Latham had hits for th Sox. For McKay, Kevin Foley, MattÃ‚Â Costanza, FrancisÃ‚Â Reyes and RomellÃ‚Â Peguero each had hits. Joe Scotch picked his first win of the season. Ryan Schaefer (Rivier College) picks up his 1st YBL save ever with 1.1 scoreless innings. Smith struggled with his command on a rainy night at Rogers but the Braves offense provided just enough to get him his second win of the season. Smith went the distance scattering 7 hits, walking 2 and striking out 10. Knotted at 1 after 4, the Braves scored 3 in the 6th on 2 walks, a HbP and a Uberti 2 run single. The Braves offense was led by Uberti going 2-3 with 2 RBI and a walk. Costanza and Ryan led the McKay Club offense collecting 2 hits a piece. Stanley Vargas came in and shut the door on the McKay Club Beacons, registering 16 strikeouts in 7 innings pitched. On offense Jordan Matos scored 3 times thanks to 2 singles on the day and reaching on an error once. Jose Toussen scored once and had 2 singles of his own. Aneury Lara scored a run after being walked in the bottom of the third. Cesarin Baez had a day at the plate, also tallying 2 singles, and in the field tracking down a deep pop fly. Miguel Calderon had 3 RBI's on the day, with a 2 run scoring hit and a sac fly. McKay Club's Costanza threw a Complete Game, but picks up the loss. 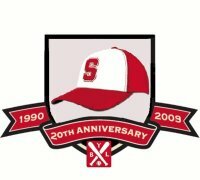 The Bull tosses 5 scoreless...Pat Duchette comes out of retirement for a day and knocks out 2 hits and flashes the leather to help the stals pick up their first win of the season. Sam Cummings struck out 5 and only allowed two hits to earn his 20th career YBL win. In the bottom of the first the Sabers would get on the board with a Tommy Lenane RBI single to score Derek Pizarro. Followed by a 2 RBI blast from Jon Chapman to score Lenane and Colucci. The Sabers would add another on a Shawn Callahan RBI single to plate Duchette. Chapman would score a run in the 5th to add insurance for the Saber bullpen. Lyndon Brundige and Patrick Kraft make their Yawkey League debuts to close out the game for the Sabers. 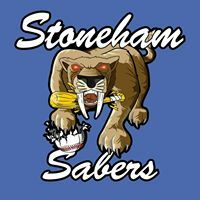 Chapman, Duchette and Callahan had multi-hit games for Stoneham. 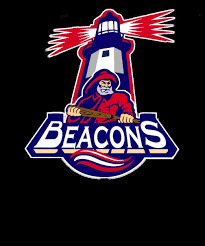 Gonzalez had a RBI single for the Beacons.